New information gleaned from gravitational wave observations is helping scientists understand what happens when massive stars die and transform into black holes. 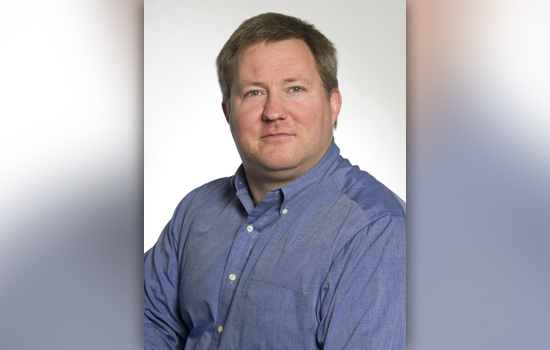 Rochester Institute of Technology researcher Richard O’Shaughnessy and collaborators reanalyzed the merging black holes detected by LIGO (Laser Interferometer Gravitational Wave Observatory) on Dec. 26, 2016. “Using essentially freshman physics, we drew new insights about the most violent events in the universe,” said O’Shaughnessy, an associate professor in RIT’s School of Mathematical Sciences. He is also researcher in RIT’s Center for Computational Relativity and Gravitation and a member of the LIGO Scientific Collaboration. O’Shaughnessy presented his research findings at the American Astronomical Society meeting on June 5 in Austin, Texas. Physical Review Letters has accepted a paper co-authored by O’Shaughnessy, Davide Gerosa from Caltech and Daniel Wysocki from RIT. The LIGO Scientific Collaboration cited O’Shaughnessy’s research in the paper announcing its third discovery of gravitational waves that published in Physical Review Letters on June 1. The current study reanalyzed the binary black holes, known as GW151226. It has been the only time LIGO has reported binary black holes must be spinning, O’Shaughnessy said. LIGO’s previous measurements suggested that the larger mass orbited the other at a slightly tilted angle. O’Shaughnessy and his team link the black hole’s misalignment to when it formed from the death of a massive star. The force of the stellar explosion and collapse expelled the newborn black hole with a “natal kick,” causing this misalignment, the authors suggest. Natal kicks are thought to occur during the formation of neutron stars, which are created from the death of less massive stars than the progenitors of LIGO’s sources. O’Shaughnessy’s team suggests this phenomenon could also apply to binary black holes, which orbit each other. This research has been supported by the National Science Foundation and NASA. Davide Gerosa is supported by NASA through Einstein Postdoctoral Fellowship grant No. PF6-170152 awarded by the Chandra X-ray Center, which is operated by the Smithsonian Astrophysical Observatory for NASA under contract NAS8-03060. Any opinions, findings, and conclusions or recommendations expressed in this article are those of the author and do not necessarily reflect the views of the Smithsonian Astrophysical Observatory or the National Aeronautics Space Administration.